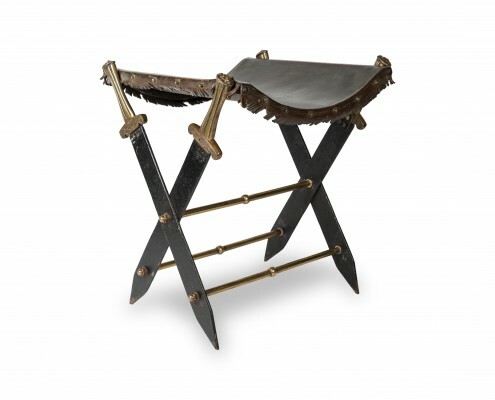 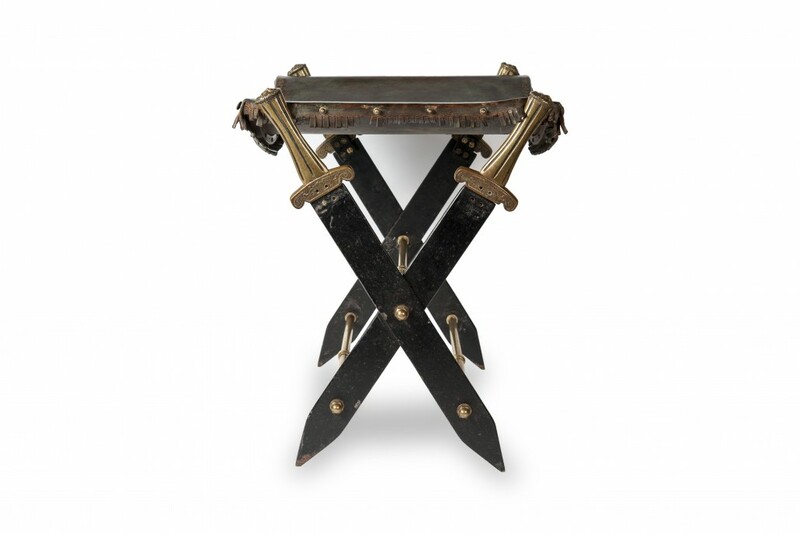 This leather stool with sword decoration combines various materials, it participates in a displayed refinement while preserving a utilitarian aspect. 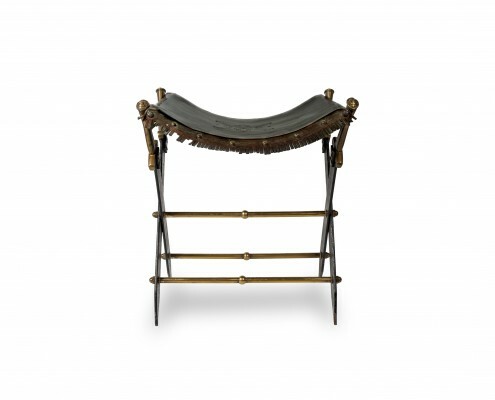 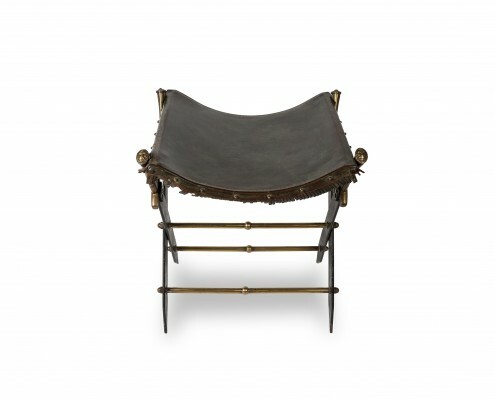 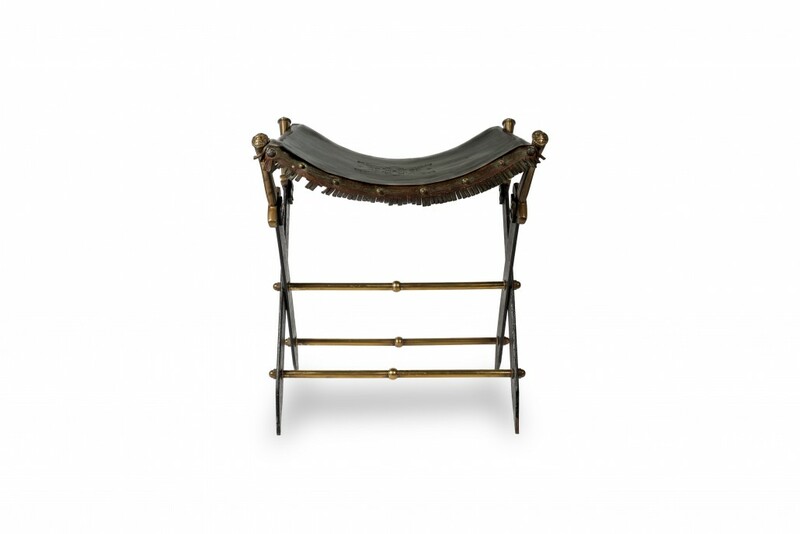 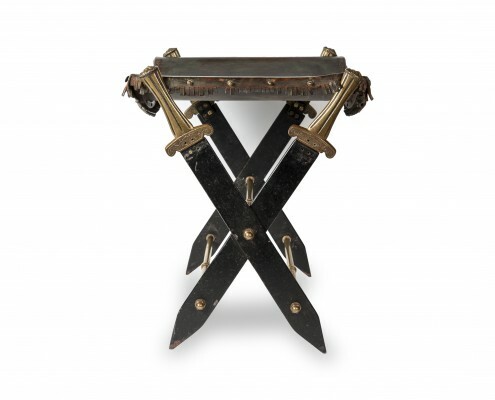 The crossed base consists of two swords on either side of the seat. 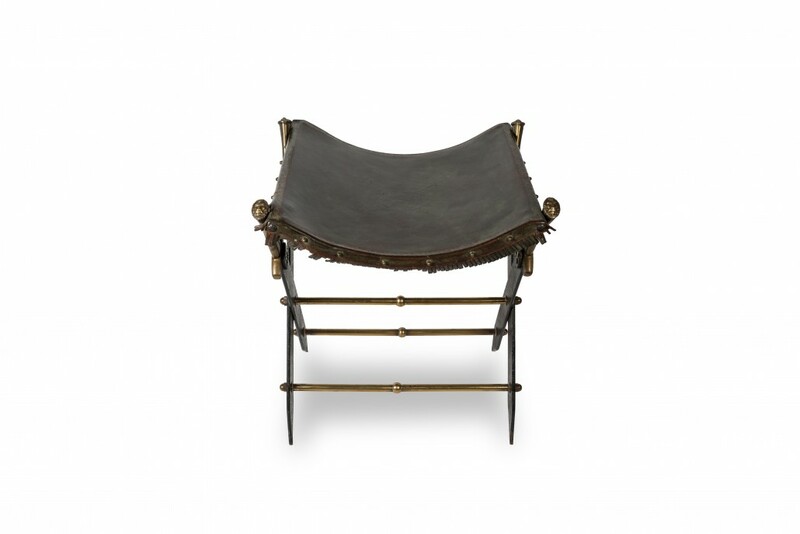 The seat, upholstered in dark leather, is bordered by fringes on each side. 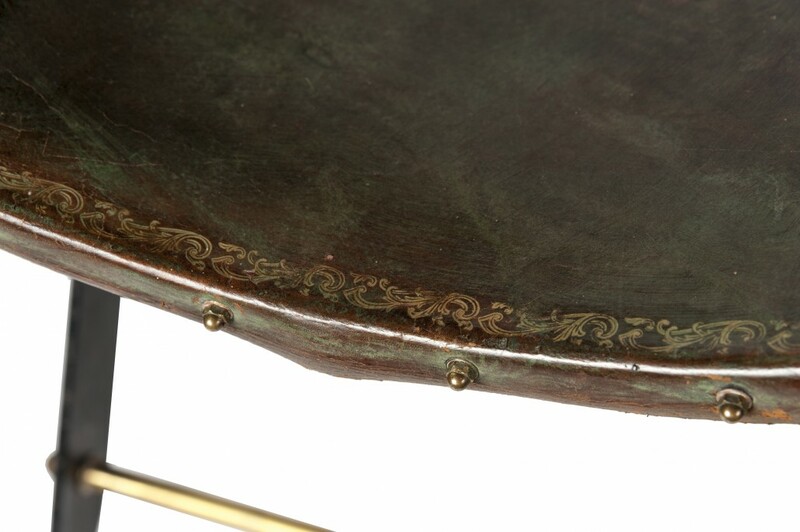 Pyrograved motifs border the whole in the form of ornamental friezes. This stool was designed for an interior with heroic connotations. 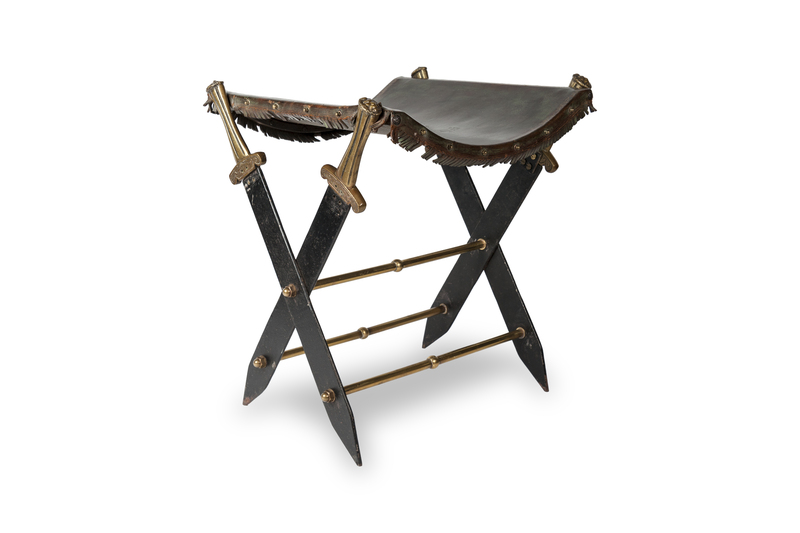 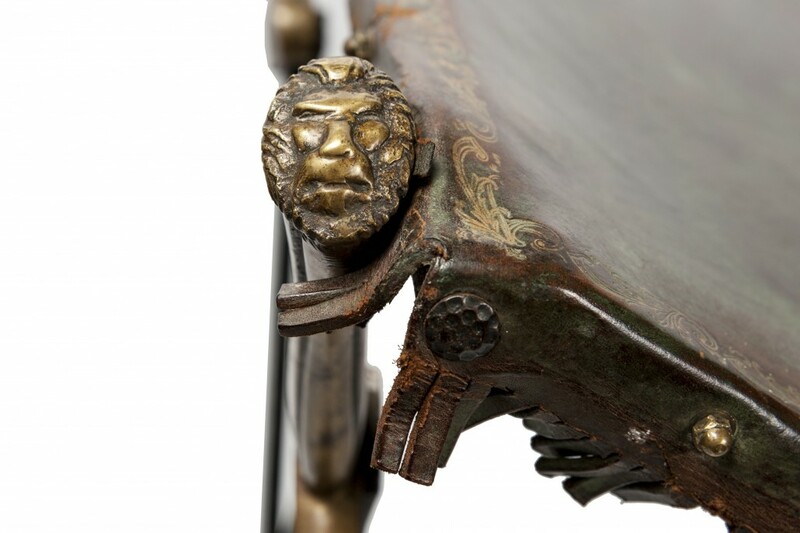 The iconography of this leather stool, which refers to the spirit of conquest, is entirely in the vein of the consulate and its taste for the ancient. 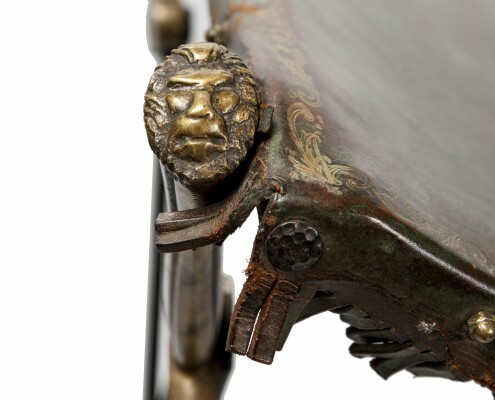 Pompous references to imperial Rome abound in the decorative arts; while Napoleon surrounds himself with metaphorical objects of power. 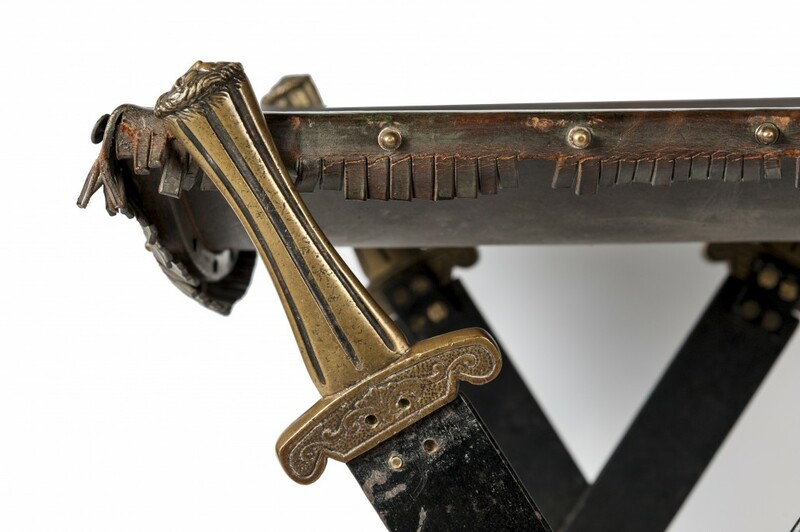 The sword or sword motif refers to the tumultuous military life led by the first Consul, who multiplied victories during his campaigns (Egyptian campaign of 1798; Italian campaign…). 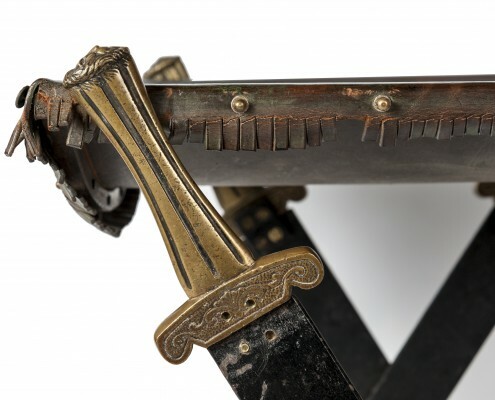 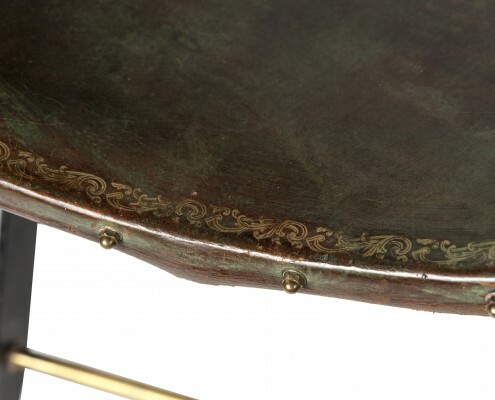 The crossed sabre spacer thus represents a recurring motif in the decorative arts of that period.